Typhoon Barijat made landfall in Guangdong this morning. The storm reached Zhanjiang around 8.30am, with wind speeds of 25 meters per second (56 miles per hour), according to ecns.com. The western portion of Guangdong has received wind and rain while other regions in the province have not been impacted. Scattered thundershowers are predicted in Guangzhou this afternoon, before tapering off at around 6pm, according to the Weather Channel. Rain is not expected in Shenzhen until around noon tomorrow, according to current weather forecasts. Last night, a blue typhoon alert took effect in Guangzhou's Nansha District while Yuexiu, Haizhu, Liwan, Tianhe, Huangpu and Panyu districts issued white alerts. Typhoon warnings across Guangdong have caused nearly 12,000 residents to evacuate their homes, most of whom live in low lying areas and compromised buildings. According to China Daily, over 70,000 fishermen had been asked to report back to port as of Tuesday night. Meanwhile, Super Typhoon Mangkhut is quickly approaching the Philippines and is projected to reach Guangdong province by Sunday or Monday. Current projections indicate that the Pearl River Delta will likely avoid a direct hit from the super storm, although strong winds are expected to pound both Guangzhou and Shenzhen. According to the Weather Channel, 86-kilometer-per-hour winds are predicted for Shenzhen on Sunday, while Guangzhou will experience wind speeds of up to 71 kilometers per hour. Stay tuned to That's for regular storm updates. 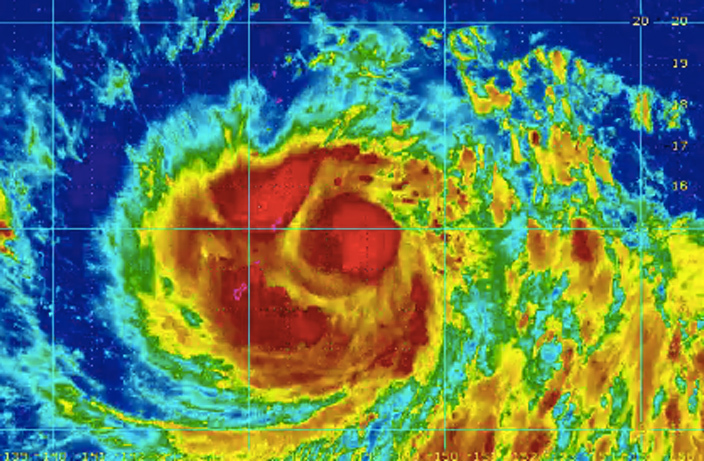 There will never again be another Typhoon Mangkhut or Typhoon Rumbia, at least in name. Typhoon Yutu is currently predicted to enter the South China Sea at around 2am tomorrow morning after battering the Philippines today. The super storm is the sixth (and hopefully final) storm to reach Category 5 strength this year. In Guangdong, the typhoon wreaked havoc on everything in its path. Sadly, four deaths had been reported in the province by 8am today. The pictures tell you everything as the bird looked into the kitchen from the cold, unforgiving outside world. As of 9.40am this morning, red warnings in the Guangdong had increased from nine to 41, most of which are located along the southern coast. Nine red typhoon warnings, 48 orange warnings, 21 yellow warnings and 20 blue typhoon warnings have been issued across Guangdong.